As from 2018, the AEOI (Automatic Exchange of Information), defined under the aegis of the OECD, will come into force between Switzerland and the EU, and is expected to come into force as from 2019 between the largest of the offshore wealth managers – Switzerland and Singapore. Would, therefore, all beneficial owners of trusts and other vehicles be identified worldwide? On the contrary, they will look for loopholes similar to the findings from the Panama Papers and obtain timely advice from “honorable” international tax optimization firms. The close coordination of combating tax avoidance by government agencies, regulators, international alliances, NGOs, financial intermediaries and, last but not least, whistle-blowers, is more important than ever for state finances. We enable a high level of networking and direct agile interaction, as well as the graphical depiction of complex organizational constructs and documentation about the suspects. Our products – your new tools: Social Graph 2.0 provides an overview of your networks and other networks – recognize multidimensional relationships and benefit from instant access and direct interaction. 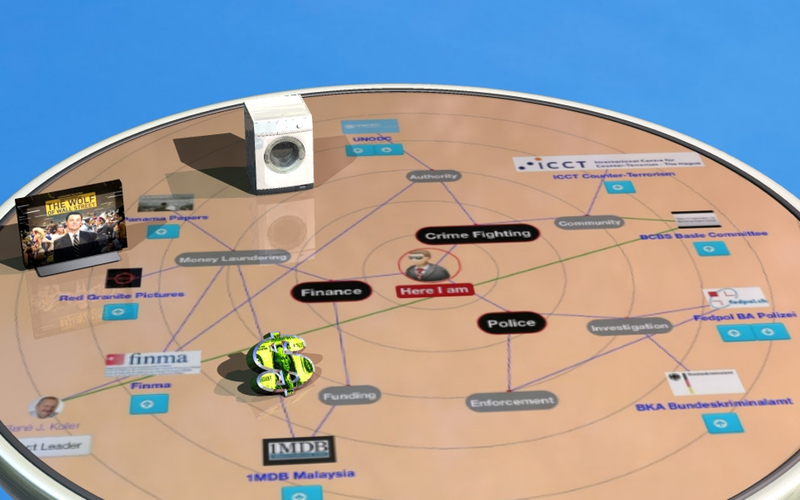 Social Map 2.0 visualizes locations of people and associated organizations.